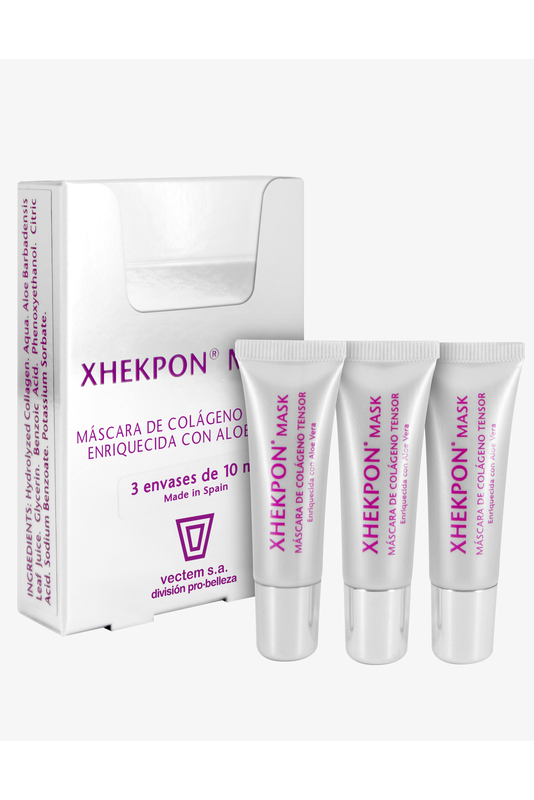 XHEKPON MASK , vectem s.a.
Collagen face mask: apply to face, leave for a few minutes to take effect, then remove with lukewarm water. On application the mask forms a natural, clear layer over the skin and has a rapid tightening effect, improving skin texture and luminosity. The high collagen content helps revitalise, nourish and firm skin. Enriched with Aloe Vera this soothing, anti-fatigue mask potentiates skin regeneration. It softens and moisturises the skin without leaving it dry or greasy, for a smooth, relaxed, more youthful complexion.